LEGO SERIOUS PLAY FACILITATOR FOUND! Purpose of the LEGO SERIOUS PLAY session(s)? Team building. We have a bunch of new staff and Lego Serious Play will help us communicate better. Where, when and in what language? Purpose of the LEGO SERIOUS PLAY session(s)? Team building activity in our workplace and woud like to know how to go about organizing a session for our team and how much this would cost. thank you Ida Lancuba People and Culture Group Four Building Surveyors. Where, when and in what language? We are in Mount Waverley Vic Australia 3149, English language. Estimated facilitation budget would like to know the cost so I can speak to our General Manager regarding budgets. Purpose of the LEGO SERIOUS PLAY session(s)? In the midst of a large cost cutting and change program the “global sales management” team is meeting up to determine how collaboration with field sales and with other headquarter stakeholders will work. A number of projects and measures are already decided and have started. But putting the overall new picture together will be the task of this day. We will need to work with less people, more effectively and to find solutions that are easy to adapt for worldwide sales. Where, when and in what language? One day exercise on Nov 4th, in Seeheim, 35 km south of Frankfurt, ca. 30-35 participants, in English or German Facility is already booked. Purpose of the LEGO SERIOUS PLAY session(s)? Hi… i am based out of Kuala lUmpur, Malaysia – We are in the midst of planning a managers conference in January 2017 for 450 managers. we are looking at using Serious Play Pro as part of the team building program for 90 minutes. can you please connect with me immediately for this requirement. Purpose of the LEGO SERIOUS PLAY session(s)? Train Master Trainers in Myanmar in Lego Serious Play to be able to integrate this methodology when delivering Supervisory Management Training. Purpose of the LEGO SERIOUS PLAY session(s)? Overall, help MBA students to develop creativity and innovation skills. Specifically, it would be our objective to teach students creativity/innovation skills/ways of thinking that could be immediately applied to solve a real-world supply chain management problem. A week after the LSP session, a company will come to campus and challenge the participants to solve a supply chain management problem and allow the students to demonstrate how LSP principles allows them to solve problems. Three months later, the same students will go through a 3-day CPSI-like training on creative problem solving. Where, when and in what language? We would like to run a one day training session on our East Lansing campus at Michigan State University. Our date is somewhat in the air but November 4th, Friday, 2016 is a possibility, or within a week of this date, on a Friday. English. Purpose of the LEGO SERIOUS PLAY session(s)? Understand the importance of customer experience and foster creative thinking to solve business/CX problems. Where, when and in what language? Mid of November 2016 in Bangkok, Thailand in English. How many participants? About 15 people as representatives from customer experience, customer service and market management departments. Purpose of the LEGO SERIOUS PLAY session(s)? I am in search of more information regarding Serious Play Pro. My interests include holding a workshop for my company to team build. Purpose of the LEGO SERIOUS PLAY session(s)? I would like to organise a 1 day workshop with 40 students (3-4 hours) using Lego Serious Play. I’m a Teacher of Business and Management and my students are 16 years old. They are designing business models for their business ideas and I would like to use Lego Serious play in order to help them to re-think their models, improve their customer services, be aware of their strengths and weaknesses …. Purpose of the LEGO SERIOUS PLAY session(s)? To help train our Early Childhood, School Age and Summer Day camp staff in age-appropriate Lego play for children infancy through high school. The goal is to encourage and foster learning in science, technology, engineering and math and also reading. Where, when and in what language? At the Lower Bucks Family YMCA in Fairless Hills, PA (nearby Philadelphia, PA) for a mutually agreed upon date(s) in 2016 and 2017. In English. Estimated facilitation budget Can be discussed. Purpose of the LEGO SERIOUS PLAY session(s)? NNE Pharmaplan want to organiz a Team Building for Administrativ and Financial Departement in France. Could you give me a French contact for that please? Purpose of the LEGO SERIOUS PLAY session(s)? We need a facilitator for a wrap-up session for our XI Eumetcal Workshop that is held in Langen, Germany between the 10-13th October. Our intention was to gather all ideas and make a strategy of the items we have discussed during the workshop and through a lego session show a fun way how this can be used as a tool. The people that are coming to the session are trainers, training staff and other in meterological services and organizations especially in Europe but we have also participants worldwide. The title of the workshop is: Developing communication capabilities for meteorological and climate services.As it can be envisaged from the title, this year we will be focusing on a rather unexplored topic within the meteorological community: how communication capabilities of weather and climate services are changing and how to make sure the training we provide meets the change requirements.This topic founded motivation in the fact that National weather and climate services across Europe are moving towards providing impact-based weather and climate services. This requires a change in emphasis in the way services are implemented and in customer – meteorological service communication. In addition, the operational competencies adopted at the last WMO Congress all address communication. Thus there is an emerging training need that must be addressed by the training community, to assist most NHMSs fill the gap and successfully meet the competency requirements. Where, when and in what language? Langen, Germany 13 th October 9 -11 AM, English. Purpose of the LEGO SERIOUS PLAY session(s)? We would like to run a LEGO SERIOUS PLAY session for a hotel Executive Team as a way of bring them together, to set a common goal and understand the value each member brings to the team and how thy can work together as a motivated, cohesive team, able to respect differences and find common ground to solve issues. Purpose of the LEGO SERIOUS PLAY session(s)? We have an off-site 2-day workshop with our team. The workshop is focused on improving the productivity of our team. We are working in Pharma Finance team at Roche. 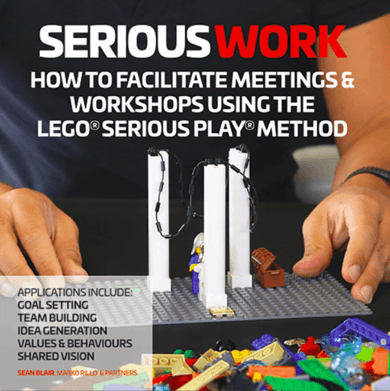 We want to use Lego Serious Play session as a team building activity at the end of the first day of our workshop in order to unwind, but still make the relevant connection to the overall purpose of our workshop. Where, when and in what language? The workshop will take place in Buonas (Risch, kanton Zug, Switzerland) between 16-17 August. The Lego session would be foreseen on Tuesday, 16 August between 4-6pm approximately. If the weather is nice it would be great to have the activity outside. Buonas has nice surrounding on the lake shore. In English language. How many participants? It would be our entire team including team leads/managers, in total we currently count with 22 people. Estimated facilitation budget We estimate that the team building activity should take 2 – 3 hours. We have heard that you have the possibility to design Lego Serious Play sessions focused on the different scope etc. Thank you for letting us know more in this respect. Purpose of the LEGO SERIOUS PLAY session(s)? To help facilitate small team collaboration using something similar to holacracy. Purpose of the LEGO SERIOUS PLAY session(s)? Hulu Executive team building. Where, when and in what language? Santa Monica, CA, June 7th, 2016, English. Purpose of the LEGO SERIOUS PLAY session(s)? Establishing corporate culture and leadership behavior changes with a group of 25 global executives in a Miami-based tech company. Looking for a 1-hour Lego-based exercise as part of a larger meeting, which my partner and I are facilitating. Where, when and in what language? We are based in the NY Metro area. Purpose of the LEGO SERIOUS PLAY session(s)? Annual conference. variety of nationalities and languages but all working in English. Purpose of the LEGO SERIOUS PLAY session(s)? I am looking for a facilitator to work with a group of teachers in late August. We are looking for team building and fun! Where, when and in what language? We are located in Greenwich, CT (an hour outside of New York City). We are English speakers. How many participants? It would be a group of about 50 people. Purpose of the LEGO SERIOUS PLAY session(s)? I’m arranging a working session / activity for the Finance and IT team . We are looking for a fun way to talk about team building, management and working together to achieve better results. Where, when and in what language? • Team of 35 people approx. The total of 35 people includes 4/5 sub teams. And it might make sense to work within the pre-existing teams. Purpose of the LEGO SERIOUS PLAY session(s)? 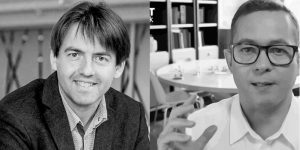 L’interazione tra diversi progetti in casa del cliente (telecomunicazioni) e la necessità di individuare attività comuni al fine di ottimizzare tempi/costi, obbliga i diversi Project Manager e Technical Coordinator ad un lavoro di “incastro” che presuppone un buon affiatamento e una visione comune da traguardare entro la fine dell’anno. L’incastro di cui sopra penso si addica molto agli oggetti delle vostre sessioni e potrebbe essere di sicuro supporto alla creazione di un’unica squadra che agisca all’unisono seppur su diversi fronti. Purpose of the LEGO SERIOUS PLAY session(s)? We are inquiring about having LEGO Serious Play as part of our conference in May. We’ve heard it is a great way to inspire creativity. Estimated facilitation budget you tell me ! Purpose of the LEGO SERIOUS PLAY session(s)? I wanted to see if one Lego Serious Play facilitator would be interested in a the Great Place to Work Conference in San Diego on April 6-8? We’d be willing to waive the sponsorship fee for a LEGO SERIOUS PLAY lounge at the conference. Have you done something like this at conferences, where attendees would come and do more independent activities as opposed to a facilitated session? Where, when and in what language? Friday, April 8 in San Diego. Purpose of the LEGO SERIOUS PLAY session(s)? To build bonds between to groups of teaching staff following high staff turn over in previous year. To have some fun, maybe give us some ideas of how we could use lego to with the children and help us to get to know each other and work as a team. Purpose of the LEGO SERIOUS PLAY session(s)? Work with my Product Management team to think about how to approach product development. Purpose of the LEGO SERIOUS PLAY session(s)? PPD Argentina es una CRO (Contract Research Organization)dedicada a la investigación clínica. Durante el mes de Abril (fecha estimada entre el 11-15/4)recibiremos la visita desde Brasil de dos Directoras del área de Project Management. Ellas desean realizar una actividad de Team Building con los Project Managers, CRAs (Contract Research Associates) y Line Managers locales. La cantidad total de participantes sería de 50 personas. Purpose of the LEGO SERIOUS PLAY session(s)? Outline management’s necessity to understand the broad breathes of the business and to effectively communicate across all functional areas in the organization as well as incorporate six sigma principles. Ultimately, to get our management team to overtly link organizational change efforts to the market and business strategy. We would like to create clarity in their minds and amplify their critical thinking stills. Purpose of the LEGO SERIOUS PLAY session(s)? Joint innovation session with customers. Our customers are other banks and I would like to explore if we can use this method to cover new methods in payments such as block chain and API concepts. How many participants? college students, 30-40, max. Purpose of the LEGO SERIOUS PLAY session(s)? Estimados señores: El Departamento de Ingeniería Industrial de la Pontificia Universidad Javeriana está interesado en entrenarse en la metodología de Lego Serious Play (un grupo de 2 o 3 profesores). Me gustaría tener información al respecto para recibir la capacitación. Agradezco su atención. Preferiblemente en español (tenemos inglés como segunda lengua). Purpose of the LEGO SERIOUS PLAY session(s)? URGENT request for Cigna Corporation. My CLO is facilitating a session in Dubai, UAE on 3/18/16. She is interested in fitting this activity into the talent related half day meeting if we can find a certified Lego Serious Play facilitator in the Dubai area. If there is one and they are available the first half of the day on 3/18. Karen would like to set up a conversation to discuss logistics and details on how to run the session, etc. Purpose of the LEGO SERIOUS PLAY session(s)? sales convention to the employees. Where, when and in what language? in Punta Cana, Dominican Republic, in spanish lenguage. Estimated facilitation budget i dont haved yet. Purpose of the LEGO SERIOUS PLAY session(s)? Team building exercise for Women’s Engineering Program at Smith College Northampton, MA. The seniors of the Picker Engineering program are currently working on a final project where they are creating products based off customer needs that come from actual companies that are partnering with Smith College. We are looking for a fun team building activity to do at our school that will help us with our communication and teamwork skills. Purpose of the LEGO SERIOUS PLAY session(s)? We would like to build effective team communication. Purpose of the LEGO SERIOUS PLAY session(s)? I run a forum of about 20 high tech senior event marketers from companies like Cisco, Intel, Oracle, Microsoft, etc. We heard this is great and wondering if a local facilitator would like to come to one of our meetings and talk about Serious Play. Purpose of the LEGO SERIOUS PLAY session(s)? We are combining two teams into one. Half the team works out of TX and half the team works out of MA. This is an opportunity for us to start to work together through a team building event. Where, when and in what language? The TX team will be in MA for the 26th and 26th of January and I am looking for options for a team of 8. Looking for a 2hr intro session. Purpose of the LEGO SERIOUS PLAY session(s)? Lead an innovation challenge. May need multiple facilitators for breakout rooms. We have 350 people. Purpose of the LEGO SERIOUS PLAY session(s)? I am designing a leadership development program for individuals identified as having high potential to assume a Director position in our company. One of the objectives of the program is to give participants the skills needed to create inclusive environments that foster creativity and innovation. We are looking for novel ways to address this and want to explore bringing in a partner to facilitate a session (full- or half-day) on Lego Serious Play. Purpose of the LEGO SERIOUS PLAY session(s)? To show the importance of an alignment and common understanding in the company’s value creation process, get common understanding of main elements of the Business model and the value creation. Purpose of the LEGO SERIOUS PLAY session(s)? I’m Noelia, from Evento Empresa BCN, we’re preparing a team building for a client and we’re looking for someone who speaks Spanish and resides in Barcelona to be our facilitator in the activity. Where, when and in what language? Barcelona, 15 of January, in Spanish. Purpose of the LEGO SERIOUS PLAY session(s)? We are hosting a team event in Berlin Germany mainly on Jan 20 and 21st 2016. I’m looking for a fun team event to get us laughing, talking, and working together. Estimated facilitation budget I am working on it, let me know my options! Purpose of the LEGO SERIOUS PLAY session(s)? We want to host a team-building, overcoming tough transitional moments session with our Resident Assistant Staff. Purpose of the LEGO SERIOUS PLAY session(s)? I would like to talk to someone about organising Lego serious play sessions during a conference we are organising in Copenhagen on 16 and 17 March 2016 for the shipping/maritime industry. The conference focusses on sustainable and green shipping, and includes shipowners, maritime equipment suppliers/manufacturers, cargo owners and ports. I am not sure about the format for these sessions yet but would like to explore the opportunities with someone from Lego. Purpose of the LEGO SERIOUS PLAY session(s)? Build and strengthen relationship among IT leaders and CIOs of a $3B dollar organization. Many of the team members haven’t worked together and we will be responsible to put together strategies and execute programs to materialize those strategies. How many participants? Local government politicians and workers. 5-10 participants at a time. We are a marketing team for a health promotion company and we have recently changed the way we work across the company’s different geographical locations, incorporating new team members from the different sites. Therefore we would like to run a Lego workshop to encourage team building and group creative thinking. Where, when and in what language? In our London office (Hammersmith) on a Monday in October 2015 (date can be flexible). We would have 2-3 hours for the workshop. We wish to have lego activity as entertainment activity for our customer event on 14th Oct in Bengaluru, India. Do you have facilitator in India? We would like to host a Lego Serious Play session in our upcoming all day corporate event as a part interactive, relationship building exercise, part down time activity to breakup the day. Where, when and in what language? Mexico City on October 22nd 2015, in a Hotel, centrally located. The event is in English, however ability in Spanish will be a plus. To learn the methodology in order to apply it on my company. Where, when and in what language? I am in Mexico City and would like to have the session(s) on the next couple of months in Spanish. I run the “Business Leaders” Leadership programme for Henley Business School at University of Reading – for all students from undergraduate to MBA. I am looking for someone to run a masterclass (approx. 3 hours) in the area of persuasion in leadership – how to hook people in, how people think and the use of gamification. This brief is not fixed in stone, it can be modified. We just want to run fun, engaging masterclasses for our students in order to inspire them! We would absolutely love someone trained in Lego Serious Play to come and run something; particularly as the brand is integral in encouraging people to be creative and innovative. Hola. Soy facilitador certificado en la metodología Lego Serious Play. Trabajo en forma independiente y requiero la ayuda de colegas en la Ciudad de México para atender grupos grandes. Busco facilitadores independients (free lance) dispuestos a colaborar conmigo para facilitar grupos de 10 a 12 participantes. Me pueden contactar. Gracias! Where, when and in what language? Centro del país, agosto a noviembre, español. We have a CoWork space in Canmore Alberta Canada. I’d love to do a workshop with entrepreneurs who are members of the space. Would this work? Estimated facilitation budget What would the cost be? We are a new team of 15-20 people and are looking at unique team building activities. We have not yet fine tuned our goal/take-away from our conference however LEGO Serious Play was recommended to me by a colleague and I would like to enquire about what it involves and cost etc as we will be in the Hunter Valley, NSW for the conference. Estimated facilitation budget Not sure at this stage.. not sure of the general cost involved for LEGO Serious Play. Where, when and in what language? Se trata de un proyecto regional (LATAM) y necesito un facilitador en La Paz, Bolivia. La fecha está por confirmar, pero sería en agosto. Son 3 sesiones de 4 horas cada una en español, más un día de procesamiento de información levantada. A 1 or 1.5 hour session to look at how LSP can reflect the theme of this years conference which is ‘Service’ and ‘Innovation’. Estamos interesados en tener más información sobre este tema. Y como se puede sacar la certificación. I am clinical psychologist, industrial and criminology I’m interested in the new trend of Lego as part of the methodology focused HR managers. I’m Spanish but I live in Lima You can tell me about this new methodology? I am HR Analyst and we are looking for new evaluations techniques to improve our Online Evaluation Tools and we received a really good feedback about Lego, that’s we are wondering if one of you could make a demo for us, in order to know your company, and your way of working. We are a marketing company that has a client that would like to have a Serious Play facilitator for their tradeshow coming up in May 2015 for 3 days. We would like to know of someone that would be interested to talk about further details. Running a group activity session using LSP. The ‘Next Generation Rail’ series is targeted at PhD students, early-career researchers in academia and young rail professionals and apprentices in the rail industry in order to foster collaboration and innovative thinking. The event also supports the important issue of rail recruitment and aims to stimulate interest in rail careers. The conference will give young delegates the opportunity to showcase research and innovation and to develop their skills to progress their career in rail. Where, when and in what language? The group activity will take place on 3rd July in Coventry, UK. Start at about 11am and would ideally last 1.5 – 2hrs. Where, when and in what language? In Tokyo in English. Time is flexible. Animation d’un atelier de découverte de l’outil LEGO serious play (2h) dans le cadre d’une journée de formation continue à l’intention de formateurs d’adultes de divers domaines. Introduction to LSP to discover it’s added value in facilitations/trainings. Workshop duration 2-3 hours, as part of a full day networking event of Kepner-Tregoe Nederland and it’s associated trainers/facilitators/coaches. Looking to incorporate serious play into my teams annual team meeting for 22 people. Change of corporate culture from a service provider non-profit to a sales social enterprise. Hi Looking for a high energy facilitator to lead a 1/2 day session on the Lean Canvas model for a group of 60 people from a company in the insurance industry. It’s a Canadian company based in Toronto but holding the event in California. To build a community of climate actors in Boulder, Colorado, USA. Where, when and in what language? At the Impact HUB in Boulder, Colorado, at a date to be determined in English. First Solar’s global marketing communications team is holding our annual meeting in Sedona, AZ April 15 – 17th and we are interested in possibly bringing in a Lego Serious Play facilitator for a short session (1 – 2hours). Have a regional meeting with the sales team and want a team building event. We have new pricing we are rolling out and want to tie a team event to being creative in how to get the new pricing in the marketplace. LEGO SERIOUS PLAY facilitator for teambuilding. I have a team of folks half of whom have worked together for 7-12 years and half of whom have been hired within the last 2 years. We need to work on communication, conflict resolution, giving feedback within teams. We need to understand more about individual working styles and communication styles. We need to build trust and camaraderie. Where, when and in what language? We are located in Raleigh, North Carolina in the US. We would like to do the teambuilding in the next three months. English.